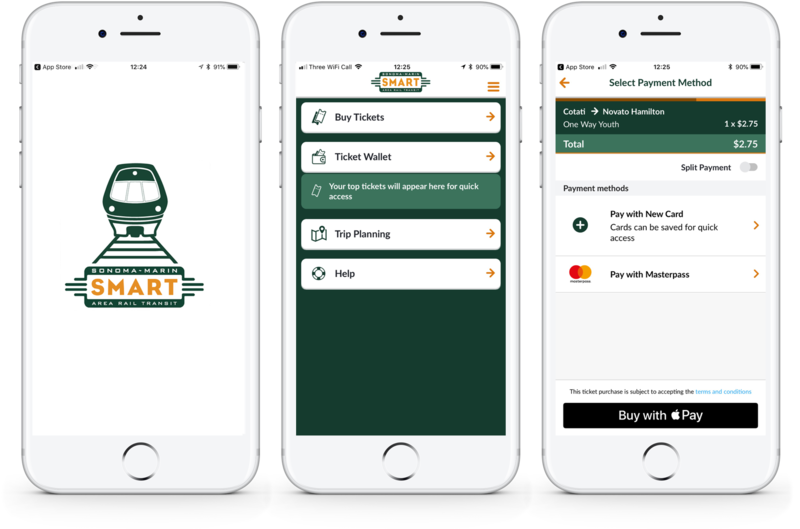 Petaluma and New York– July 23rd, 2018 – Sonoma-Marin Area Rail Transit (SMART) riders have new options to pay for tickets when using the SMART mobile ticketing app, “SMART eTickets”, with the addition of Masterpass and Apple Pay digital payment services. This allows customers to purchase tickets with just a tap, eliminating the need to type in any credit card numbers, billing information or security codes to complete a transaction. To use Masterpass or Apple Pay on the SMART eTickets app, customers simply select the fare they wish to purchase, choose the stored payment card of their choice and complete the payment by using either Masterpass checkout or the Touch or Face ID features for Apple Pay. Sonoma-Marin Area Rail Transit (SMART) is the San Francisco Bay Area’s newest transportation option for travel, offering passenger rail service in Sonoma and Marin counties. The service has seen strong adoption since launch with the addition of extra train cars to accommodate demand, while the app has proven extremely popular with riders accounting for over 17% of fares purchased on the service. For more information about Masabi’s Justride Fare Collection Platform which powers the SMART eTickets app, please click here. 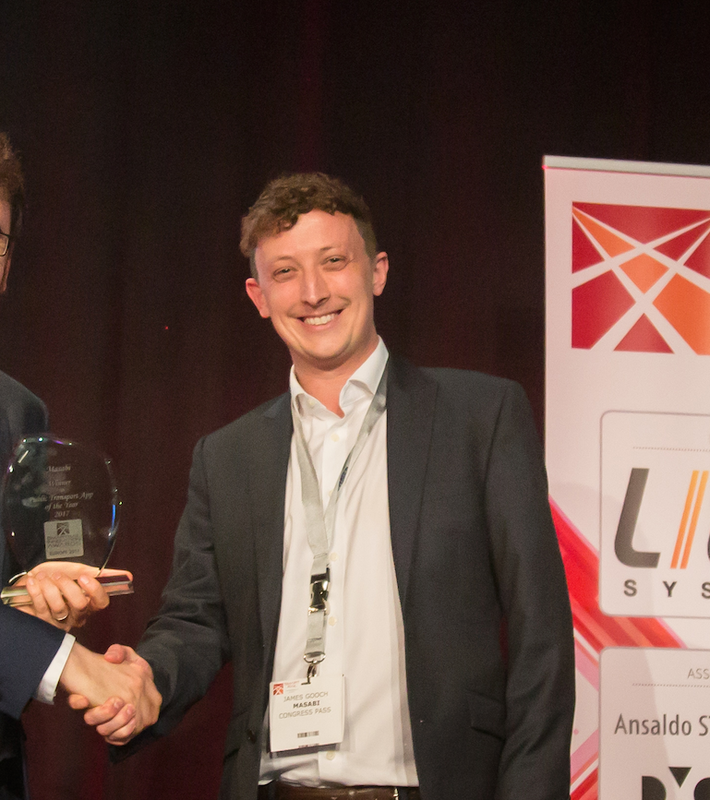 The company’s Justride SDK, the world’s first and only mobile ticketing SDK for public transport, allows partners such as Uber, Kisio, Chalo and Transit to request fare types, make payments, and deliver visual and barcode mobile tickets to a passenger within their applications.